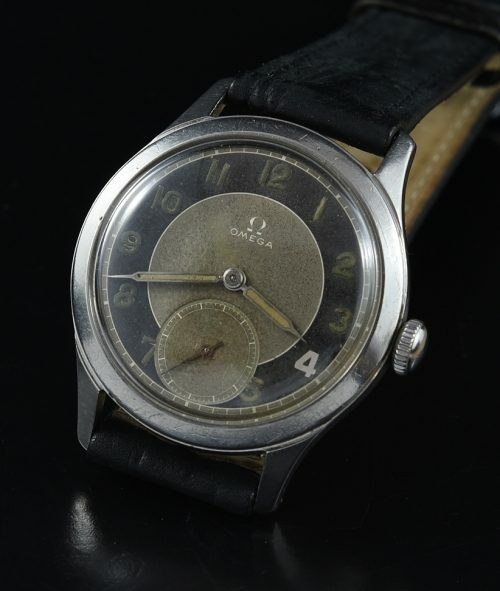 This 1950 OMEGA measures a full sized 35mm. in stainless steel. 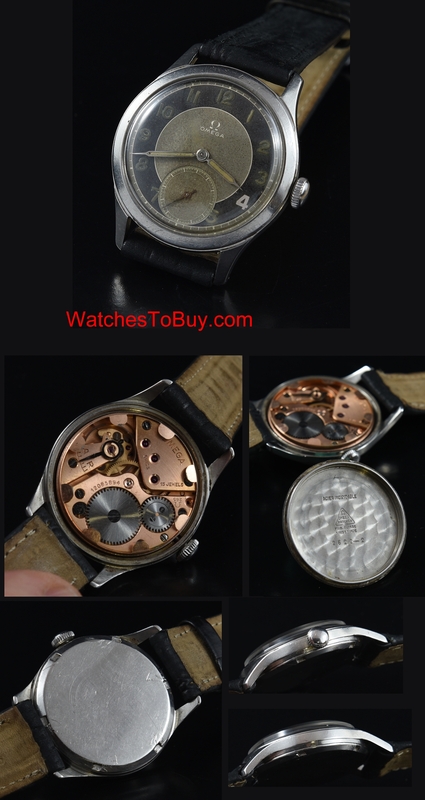 This watch houses a fine caliber 265 manual winding (just cleaned-accurate) movement. The dial may have been restored many decades ago; but if it has, it was a very accurate restoration. You really must love the overall patina and original hands. This case is unpolished and original. At $995, this vintage OMEGA will sell fast.